Andrew was born in 1963. He was educated at The Catholic College in Preston and thereafter read for an LL.B. (Hons) and LL.M. He studied at The College of Law in Chester and passed the Law Society Final Examinations in 1989. 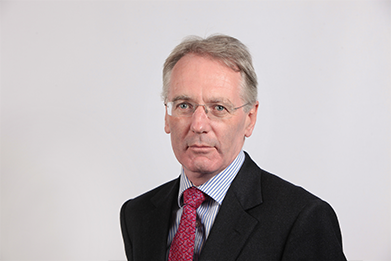 Andrew was admitted as a solicitor in 1991 and called to The Bar- Middle Temple in 2013.He joined Chambers in 2013. Andrew was appointed a Deputy District Judge in 2001 and regularly sits at the main Court Centres on the Northern Circuit including Liverpool and Manchester dealing with all areas of civil litigation. Prior to joining Chambers, Andrew practiced as a Solicitor and was a Partner and Director at two old and established firms in the North West. Since joining Chambers Andrew has built up a strong following of solicitors willing to instruct him in all the above areas both to advise “on paper,” in conference or to represent at interlocutory hearings and at trial. Andrew is also authorised to accept instructions, where appropriate, on a direct access basis which means that members of the public can instruct him directly without the need firstly to instruct solicitors. Outside of Chambers, Andrew enjoys skiing, mountain biking, football, racquet sports, music, cooking, but most importantly, never ceasing to be amazed by the wit, ingenuity and cheek of his young children.